One part comedian, and the rest the most accomplished backwoodsman you'll ever meet. This is Tim Smith. This Registered Master Maine Guide is a lifetime student and full-time teacher of all things related to wilderness bushcraft. And it's all wrapped in a fondness for looking at the lighter side of survival. But don't take his infectious smile and wit as a weakness. Tim spent a majority of his youth learning the ways of survival from Maine's elite master guides and expanded his primitive survival knowledge by spending significant amounts of time living and traveling with the native Cree people in northern Quebec. Tim is now a master guide himself and uses his extensive bush knowledge and guide skills to teach survival and outdoor living skills courses at the Jack Mountain Bushcraft School, which he founded in northern Maine. 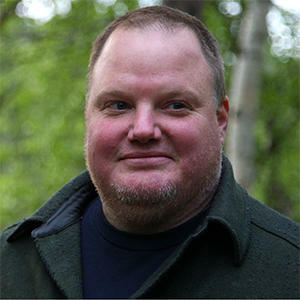 Tim has also written seven books and has taught numerous college-accredited bushcraft semester courses. The game is a perfect outlet for Tim. Where else can a guy put his outdoor skills to the ultimate test, learn from other top-notch survivalists, and make jokes doing it?